I get up, look at the rabbit and WHAM! 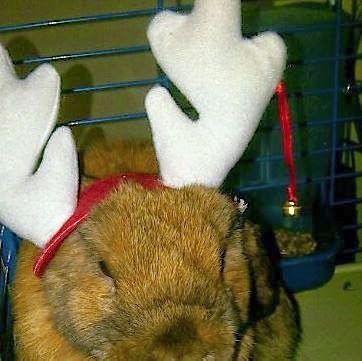 A double dose of Disapproval right out of the box - half disguised as Holiday Cheer. Bah Humbug. I think Gizmo is putting up with it in the hope that it will result in extra Christmas presents, so you had better be shopping 'til you drop!